Pondmaster UV Replacement Bulbs is the replacement UV Bulb for the Pondmaster UV Clarifiers. Average "Useful Life" is 9000 hour - A good rule of thumb is to replace every year at the beginning of pond season for best results! Average 9000 hour "useful life"
10, 20, 40 watt UV bulb - Quantity 1 per package. 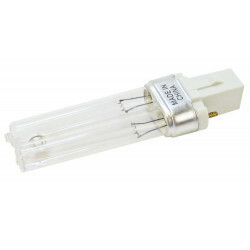 Clean or Replace Quartz Sleeve when replacing UV Lamp. 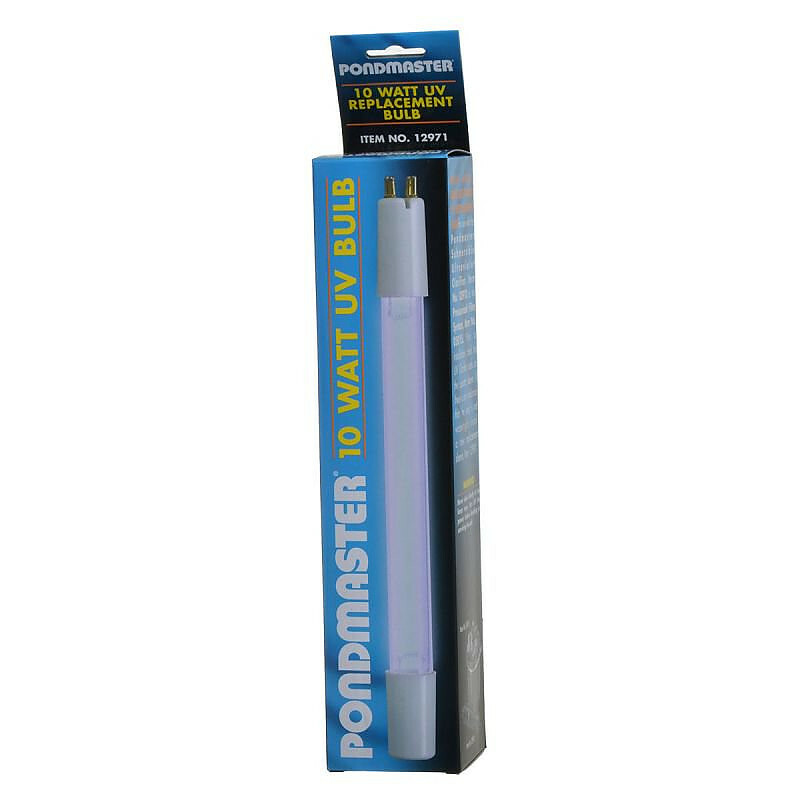 Pondmaster UV Bulb has a 4 pin base. Great customer service. We received a bulb DOA and after contacting customer service, a new bulb was sent out immediately .... even before we returned the bad bulb. In this day of poor customer service, we have found a new place to shop !!! UV clarifiers/sterilizers are great for ponds. The water stays clear and the fish stay healthy. The bulbs only last a year or so and Pet Mountain has the best price on the web with fast shipping! Have ordered two items so far for my Koi pond and they have the best prices on the Internet. Wouldn't shop anywhere else. As expected and arrived very fast. 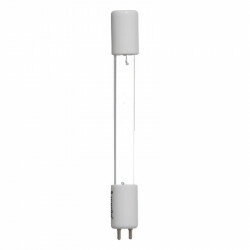 This is an excellent price for the Pond Master replacement bulb for your clarifier. Pondmaster makes an ok product for it's worth. From experience, I would rate it as Fair. Some other companies offer better products but you need to fork over a lot of bucks for it. I think Pondmaster makes an ok product for the money. My Pondmaster UV lamp lasted for two years with almost continuous use from May to October. I never had a problem with algae or had a sick fish after I began using it. The bulb is easy to replace.